Realistic metropolitis converted from Angel Studios' Midnight Club. Features many of the city's landmarks, and an interesting new innovation to add-on cities: traffic and pedestrians. As a native New Yorker who's walked down some of these streets I felt right at home here. Being a beta preview version there are a few bugs, like bad file visibility, solid lampposts, unexpected crashing, and non-solid objects. In order for the city to work, you need the graphics renderer to be set to "Hardware only (without T&L)", in the Graphics Options game menu. 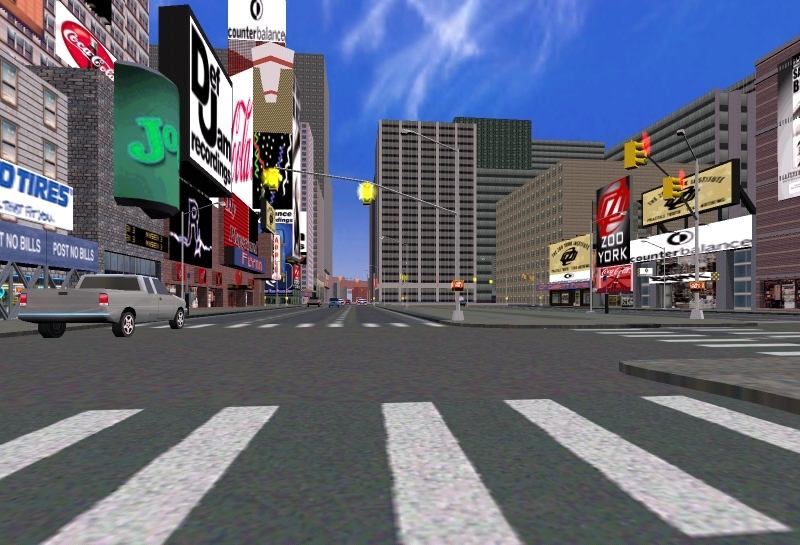 You can play at maximum screen resolution only with low polygons cars. To play with medium polygons cars you have to low the screen resolution. Some high polygons cars may let crash the game with the lowest screen resolution too. Author's Name: Angel Studios, Yallis, Richard P.